We treat a very wide range of patients, of all ages, from simple nail care through to more complex foot problems such as neuropathy, skin conditions, diabetic foot care and nail surgery. We also run specialist clinics for foot pain, gait problems and orthotics. Dereham Podiatry Practice was set up by Suzanne Clipson in 2000, practising from the Theatre Royal GP Surgery in Dereham up to 2010. Suzanne then had the opportunity to move into purpose-designed premises nearby, which is our current clinic. The move allowed us to accomodate the increasing demand for foot care around Dereham, in a modern, purpose-designed, clinical setting. 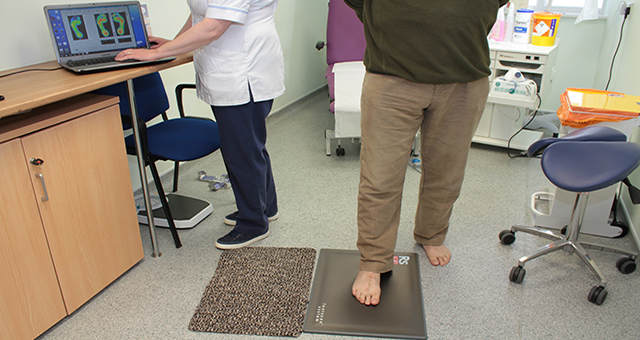 The Practice has invested in the latest footcare technologies, including purpose-designed treatment rooms, Doppler Circulation Assessment, RSScan Pressure Plate Biomechanics, a confidential computerised medical records system and dedicated sterilising suite. The Practice is supported by a full time reception team, and we have a comfortable and friendly waiting room. Registered Podiatrists are trained in all aspects of care for the feet and lower limbs, including the most common foot problems. Some problems are inherited, and some develop from illnesses in middle age, or from the pressure of ill-fitting shoes. 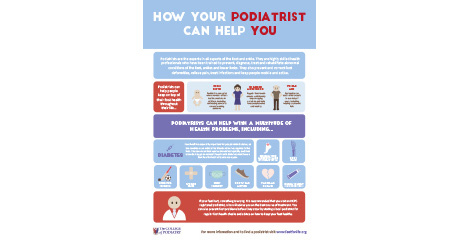 Click on the image to the right to learn how your podiatrist can help you. We are a small and friendly team at Dereham Podiatry Practice. Ph.D., B.Sc (Hons), M.C. Pod. Suzanne originally trained and worked as a scientist. Her own personal experience working with painful feet led her to retrain as a podiatrist at Salford University in the late 90s. She set up Dereham Podiatry Practice when she graduated in 2000. Suzanne is passionate about foot care, and continually updates her knowledge and skills with continuing professional development. She has recently taken courses in advanced gait analysis, local anaesthesia, and rheumatology. Gaynor qualified from Durham School of Podiatry in 1991 and has been in private practice for 26 years. She has worked mainly in Norwich and Great Yarmouth. Gaynor joined Dereham Podiatry Practice in October and currently works one day a week. Her main interests are general footcare and foot health, Biomechanics and Rheumatology. Our friendly reception team includes Kim Welton (Practice Manager), Diane Holdgate, Jo Sebire and Nicholas Clipson.